After you’ve negotiated the contract, the buyer will then apply for financing on the home. Their agent will help them through the process and will notify you when the loan application has been passed. Sometimes deals can fall through if the buyers can’t get approval on the loan, which then you’ll have to start the selling process over again. 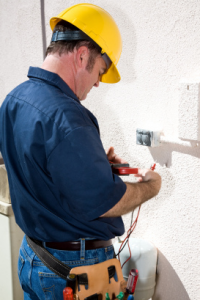 Over the last few years, the home inspection has significantly grown in importance. During the “Due Diligence” period, a professional home inspector will search your property from top to bottom. Often, he or she is chosen and paid by the buyers, and will send them a report of his findings. If there are any issues or concerns, the buyers will forward it to you, and you’ll have a set time to fix them. When the buyers apply for a loan, the lender will send a professional to appraise the property. It justifies the value of the property to the loan, regardless of what the seller and the buyer have agreed upon. After the appraisal and the buyer’s income, credit, etc… meet qualifications, the loan will be approved. A closing attorney will prepare the necessary documents to finishing the loan. Once the buyers have a mortgage loan on the house, they will need to obtain homeowner’s insurance covering the property. The buyers agent will help them through this process, ensuring they receive the right amount of coverage. The buyer must present proof of insurance at the closing. Also, during this time, your home will be re-inspected to make sure you’ve made all the necessary repairs called for during the initial inspection. If there are issues to address and fix, it’s important you, as the seller, hire reputable repairmen and keep records of the maintenance. Prior to closing, it’s important to not forget the transfer of utilities. Both buyers and sellers should arrange for these transfers on the appropriate dates of the closing. As the seller, you may want to contact the utility companies in your area and cancel services on that day.